Product #21717 | SKU NYS231 | 0.0 (no ratings yet) Thanks for your rating! The NYS 231 REAN 3.5mm Nickel Stereo Mini Plug from Neutrik is a three pole commercial 3.5mm plug with metal housing. 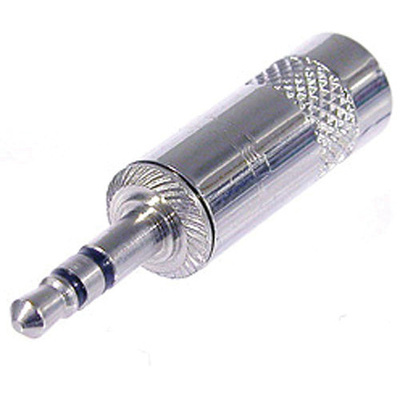 The connector is equipped with a heavy duty cable clamp and employs crimp strain relief.